A community parks and recreation master plan is an in-depth study that enables an agency to accurately and scientifically plan for the future growth of the community's parks and recreation system. More than just a design element or facility plan, the master plan assesses the community's history, resources, population, citizen input, and national/local standards to create a strategic plan that is time, cost, priority sensitive and can adapt to your needs and community growth. Parks and recreation departments desire to provide the most appropriate type and size park for each area of the community with the proper amenities so that the total community is well balanced and served. The park classification study is the best method to determine the proper park site for each individual community and area in the community . Parks and recreation agencies sponsor and conduct a variety of small to large scale special events such as fairs, festivals, sports tournaments and the like. An economic impact study shows the amount of new money spent in the host community due to this special event. Information such as the direct expenditures on hotels, restaurants retail spending as well as the generation of additional local and state sales taxes and return on investment is calculated. The need for high quality, age appropriate, safe and meaningful elementary school physical education facilities are critical to the health of the school population. 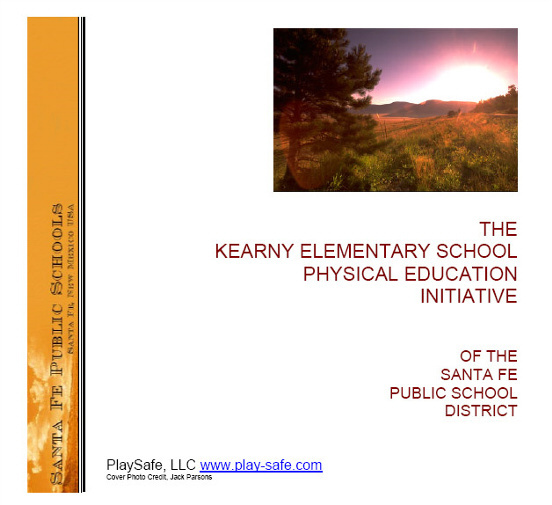 The Elementary School Physical Education Impact Study evaluates the qualifications of teachers, on task time allocations, class size capabilities, status of equipment and materials, technology, facilities, curriculum, assessment and evaluation. The final report gives positive and sound recommendations for school facility improvements. Feasibility studies is the process of determining if a particular parks and recreation project is right for your specific community. We, at PlaySafe, LLC have prepared numerous feasibility studies that generally include: legal, site, user, design, financial, and administrative feasibility elements. As one can see, this type of planning study answers critical questions when important decisions need to be made. The planning process is becoming more complex and parks and recreation agencies often need to determine if a proposed action will impact the environment. The EA is a complex but quick method of determining what impact if any a proposed action will have on the community's environment. At PlaySafe, LLC we can walk the staff through this process or complete it on behalf of the agency. PlaySafe, LLC's staff of 5 NPSI Playground Inspectors can work with your staff to design and build a playground that will be fun, part of your curriculum, and safe. PlaySafe, LLC can assist with choosing suppliers and installers, or can act as your total project managers. Finding and preparing both federal agency and private foundation grants for parks and recreation services is a critical aspect of quality service. PlaySafe, LLC can assist in a multitude of ways from providing staff workshops tailored to that agency to the complete development of the grant process for the needs of the agency. There are many ways for a parks and recreation agency to collect public input. One of the most common methods is the community public hearing. PlaySafe, LLC staff have conducted hundreds of public input meetings on behalf of community agencies. By using an independent firm such as PlaySafe, LLC the public and staff feel assured that the best possible quality input can be collected.